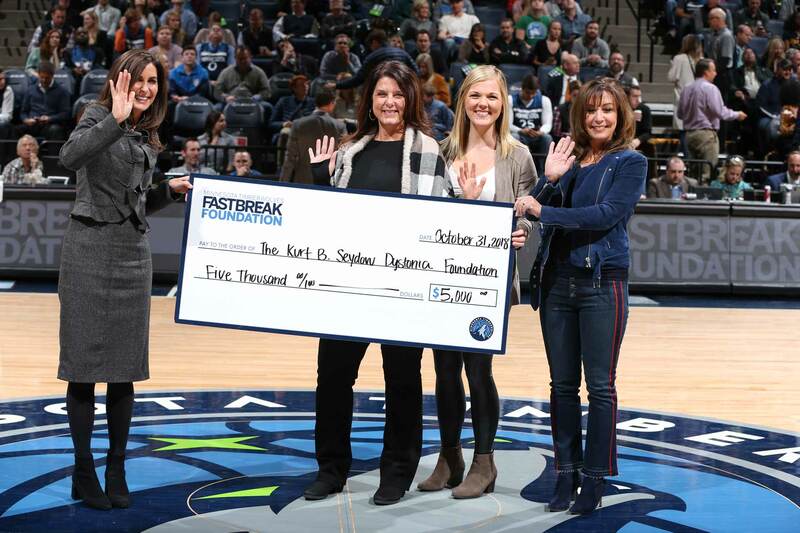 On Wednesday, October 31st, The Kurt B. Seydow Dystonia Foundation was awarded The Minnesota Timberwolves FastBreak Foundation Community Gift of $5,000.00. The Kurt B. Seydow Dystonia Foundation was recognized publicly as a registered 501(c)(3) Nonprofit, committed to impacting the lives of individuals living with Dystonia, as well as increasing awareness to the general public. Thank you, Minnesota Timberwolves and the FastBreak Foundation!